Here we offer our selection of Party Accessories and event decorations ideal to give a special touch of magic to outdoor and indoor spaces like your home, garden, and event receptions. Christmas is the period of the year where homes and gardens come alight. 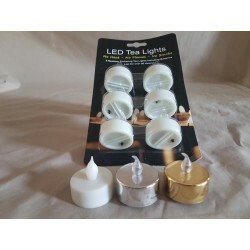 Find out the Tea Lights ideal for you! We have 1000s of products which are in cue to be uploaded on our system. Due to high volume to Brands and Companies registering to become our Partners, we are increasing the number of our expert to approve new products. Let us know if you are looking for something in particular and we will let you know what we got for you.